Two thousand seventeen has started on a very positive note for us here at Sita. I was recently part of the “Focus on India” tourism promotion event held in Budapest, Hungary. It was hosted by the Embassy of India, Hungary in association with Sita and The Taj Hotels on January 23, 2017.The evening was attended by Hungarian tourism companies and was a great platform for us to meet and interact with the companies present. As an extension of Sita's online marketing strategy, we have launched a travel blog section on the Sita website. 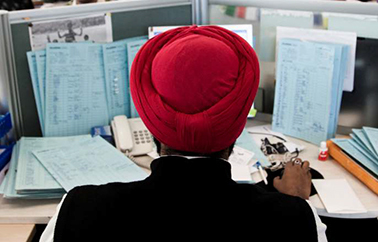 To view the blog please visit www.sita.in/blog. Do write to us with your valuable feedback. With less than a month to go for ITB, Berlin we are excited about seeing you there at our booth No. 209 in Hall No. 5.2b. 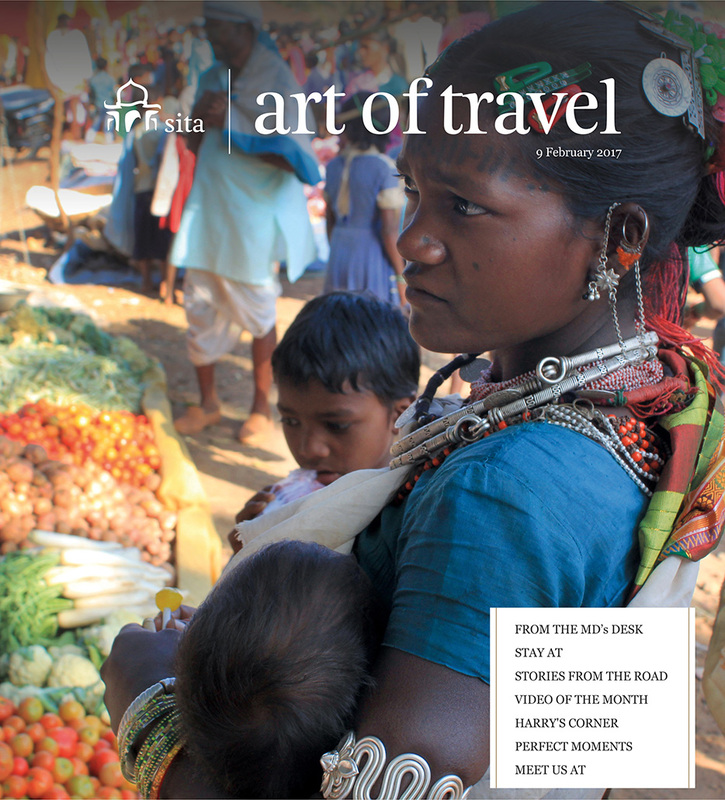 As we do every year at ITB, we will be launching our annual Art of Travel Brochure at the show, stay tuned for first hand stories from our Destination Knowledge Centre. "The simple and stark looking Bagh Tola, which literally means 'The Tiger's Village is almost uninviting at first sight. 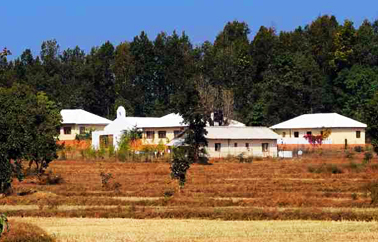 But as you inch closer to Bagh Tola you are likely to get curious with the sight of a Chapel with its Bell within the premises and start thinking that there is indeed something very interesting to this 8-room property, spread over 44 acres of wooded forest in Kanha National Park in Central India. And yes indeed. “My host Eric D'Cunha at Bagh Tola who has spent close to 30 years in Kanha, tells me that the property with antique furniture gleaned from old houses around India is designed around a courtyard reminiscent of the railway colonies that central India was famous for during the British Raj", says Kuntil Baruwa from our Destination Knowledge Centre, who recently stayed at Bagh Tola for 4 nights. The Railways during colonial India were instrumental in opening up this part of Central India, which till then had remained shrouded in mystery for thousands of years. "The eight spacious bedrooms of Bagh Tola, two in each corner of the courtyard are wonderfully comfortable with ensuite bathrooms and elegant, complete with white and pink bougainvillea vines taking you back in time to colonial India," says Kuntil. Evenings are spent in the open courtyard, from where one can enjoy a stunning sunset, around the bonfire. While relaxing under the star-lit sky your clients are free to help themselves to spirits of their choice, whilst chatting with their host Eric D'Cunha about Kanha, the on-going conservation efforts as well as the day's sightings in the park. Eric has been closely working with Kanha National Park since 1986 and has under his belt a list of publications covering birds of Kanha and several other notes on the wildlife of Kanha in Journals of Bombay Natural History Society. "They ring the Bell of the Chapel which is actually the restaurant to remind guests that food is getting cold and they can continue the conversation over dinner. Conversations with Eric tends to get very interesting and you have no idea how time flies," says Kuntil. Bagh Tola's food is simple, home-style and delicious. 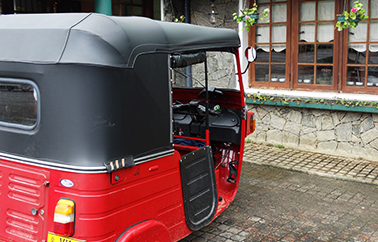 "What makes Bagh Tola a winner is Eric and his wife Joylet, running it like their own home. 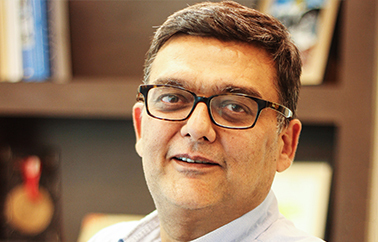 Joylet is personally involved in the kitchen and your clients must definitely try her Mutton Green Masala which lulls you to a peaceful afternoon siesta; the ingredients procured fresh by Eric himself from the local market," says Kuntil. Bagh Tola also has a short nature trail within the property with very interesting birdlife which is best done early morning. There are also special venues where they do meals and where your clients can relax on a charpoy; particularly on an Wednesday afternoon when the park is closed, with a book from the library of Bagh Tola. It has an impressive collection of books on the natural history of the Indian subcontinent; birds, butterflies, reptiles, mammals et al. " I would personally recommend the Waterhouse Albums : Central Indian Provinces from Bagh Tola's library. An outstanding coffee table book that traces the life of remarkable photographer James Waterhouse and his journey in 1862 where he spent almost an entire year photographing and documenting the people of Central India. Not just princely rulers and nobility, but people from different social and ethnic groups. From indigenous tribes to merchants, to holy men to slaves to farmers. All photographs are accompanied by detailed notes from the legendary photographer himself. Waterhouse Albums : Central Indian Provinces contains 120 photographs, out of which is perhaps the first photographs of the now UNESCO World Heritage Site, the Buddhist site at Sanchi and a series of rare extraordinary portraits of the Begums of Bhopal; its women rulers, who ruled with an iron hand for over 150 years of Bhopal's 240 year old history," adds Kuntil. "It's only the women from the Baiga community who get tattooed. Not men. But it doesn't matter. It is my small contribution towards preserving an ancient art form that goes back to thousands of years and is fast vanishing. And very interestingly if I was a Baiga man, I would have been forbidden from witnessing a woman getting tattooed, because it is believed that if a Baiga man sees it, he would lose all his hunting skills. The only job for men, while the women get tattooed is to sing, to play the drums and of course get horribly drunk in the process," says Kuntil Baruwa from our Destination Knowledge Centre who got a traditional Baiga tattoo done by Mangala during his recent trip to Central India. Mangala has been a tattoo artist since she was 10 and learnt the art from her parents. "A Baiga woman isn't considered a Baiga unless her entire body is tattooed," says Mangala. At a base level, their tattoos are considered to be a form of sexual expression and a powerful sexual stimulant. But Baiga women also consider their tattoos as a gift to be carried to the Gods when they die. "They believe that tattoos are Amar Gehna (immortal jewellery). Even when they die, their clothes and body is burnt in funeral pyre, but the tattoos remain with them and beyond the fire," adds Mangala. Interestingly Mangala isn't a Baiga. She is from the Badna community of Central India who has retained one of the most important Baiga traditions, Godna (art of full body tattoo). Baiga girls get their first tattoo at the age of seven." "A ‘V’ mark is tattooed in the center of her forehead. Three dots and a vertical and horizontal line are also tattooed. It's a symbol of the hearth or the fireplace in a Baiga home. By the time she is 16 her entire body is tattooed except for the chest which is marked after her marriage or motherhood," says Mangala. 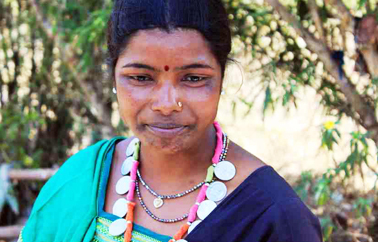 Baiga villages adopt Godnaharins (tattoo artists) like Mangala for a fortnight or more so that all eligible women in the village can get tattooed at one go. Check out our Kanha National Park video from the series, National Parks of India. Dr. António Costa, Prime Minister of Portugal visited India for 14th Pravasi Bharatiya Divas Convention which was held from 7 to 9 January, 2017 in Bengaluru, Karnataka. While the Prime Minister and his key ministers and officials were hosted by the Government of India, the logistics for the rest of the delegation including the media team was handled by Sita. They travelled across Bengaluru, Ahmedabad and Goa. 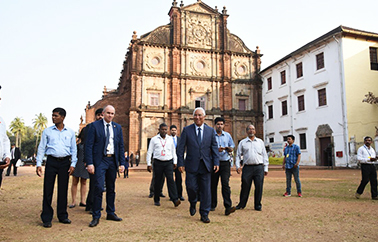 In the last leg of his trip, Dr. António Costa, who traces his roots back to Goa, visited the destination where he met his extended family at his ancestral place. Here is to some more Perfect Moments by Sita.